The Bronze Age was one of three ages that demonstrated mankind’s capacity for creativity and ingenuity. 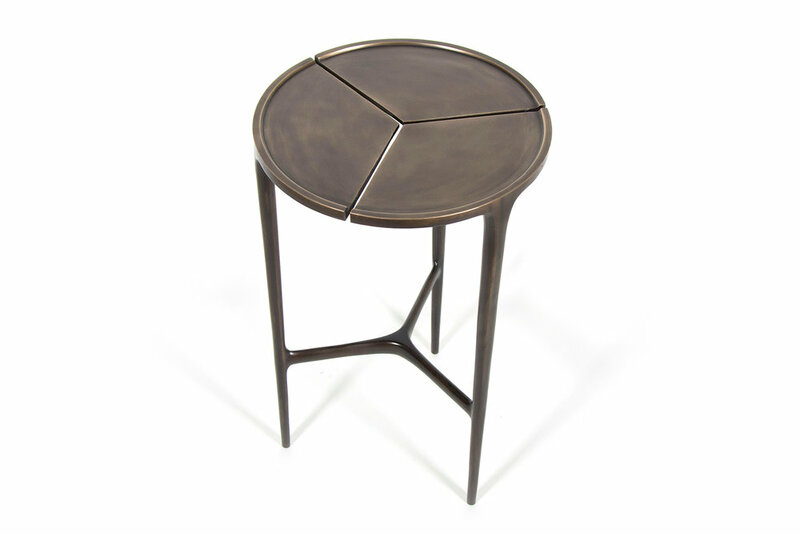 Appropriately enough, the Ages occasional table is made at a local Chicago foundry specializing in art castings. 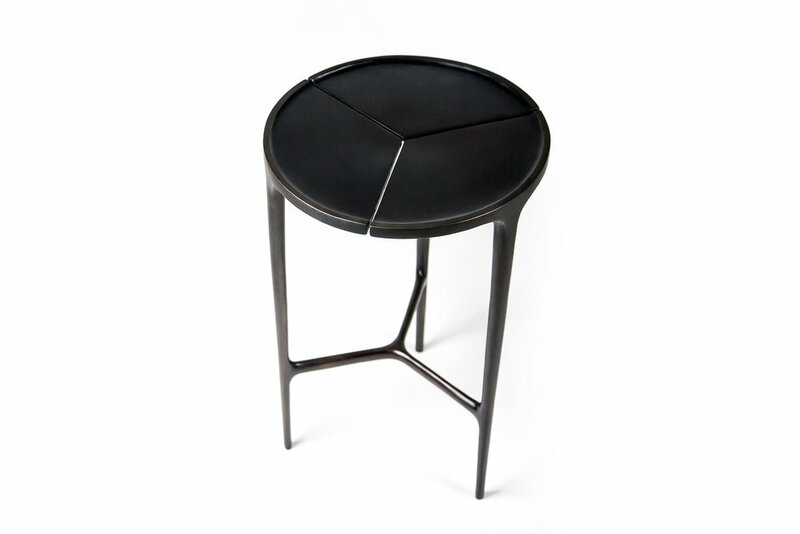 Its split top showcases the strength created by smelting three primary materials to create silicon bronze—the best quality one can cast. Such high quality bronze is normally used for sculptures and outdoor art due to its incredible durability; it is used here not only for its strength but for the beautiful and unique range of patinations that can be applied via oxidation, then clear coated to maintain its rich color.